Our range of accessories are designed to complement the Ecobin range of recycling bins for offices, schools and public indoor spaces. Our range of Educational Laminated Posters are available in two designs, the Original and new Chalkboard Designs. Both ranges include educational information and recycling images designed to assist users in quickly assessing what items go into the respective bins. Ecobin’s range of Educational Laminated Posters are available for Paper (Blue), Organic (Green), Mixed Recycling (Yellow), and Landfill (Red). The new Chalkboard Design Posters are also available for the Soft Plastic (White) bins. Ecobin stock a range of Envirogreen 100% degradable bin liners in various sizes. Bin liners are translucent / clear allowing cleaners to identify contents and place waste into the correct waste stream for collection. 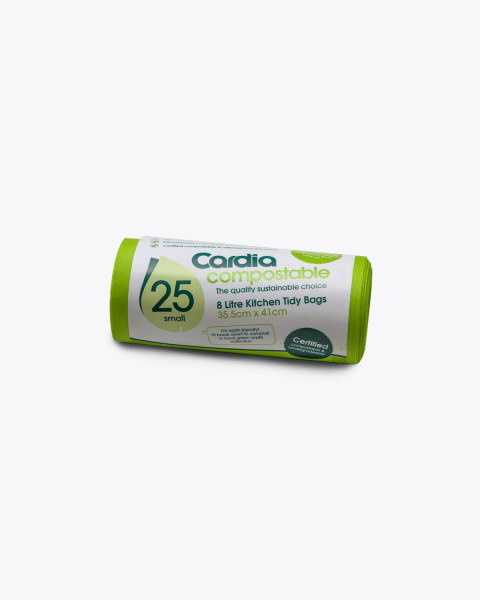 Ecobin also stock a range of extra strong yet soft touch Cardia Compostable Biodegradable garbage bin liner bags which are made with GMO free, renewable, plant based Cardia Compostable material. Ecobin’s range of indoor and outdoor bins are the best tool to help divert unnecessary waste being sent to landfill by separating your waste at the time you throw it out. By displaying one of our Educational Laminated Posters with your corresponding Ecobin in either Paper (Blue), Organic (Green), Mixed Recycling (Yellow), Soft Plastic (White) and Landfill (Red) will ensure that all your staff, students, or clients know exactly where to put the correct items and ensure the effectiveness of your office waste management program. Ecobin is pleased to offer a range of degradable bin liners for use with our range of recycling bins. 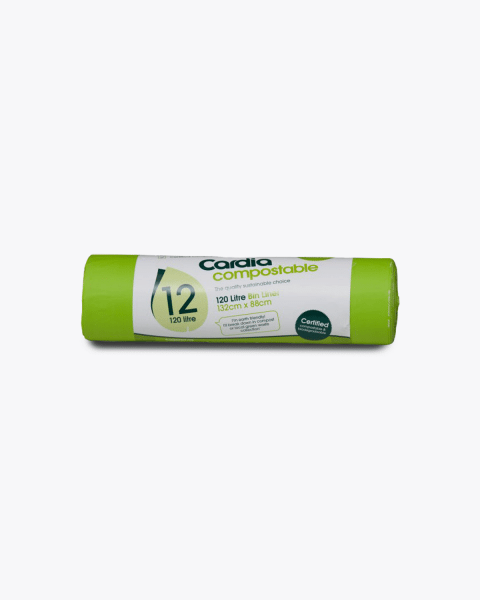 The degradable bin liners are available in a range of size options to suit your individual needs. Rubbish bags are handy and sometimes necessary things, but traditional bags are choking our waterways, killing our marine life and clogging up our landfill. Using degradable bags instead will ensure that with exposure to heat, sunlight and mechanical stress they will fully degrade and not damage the environment. 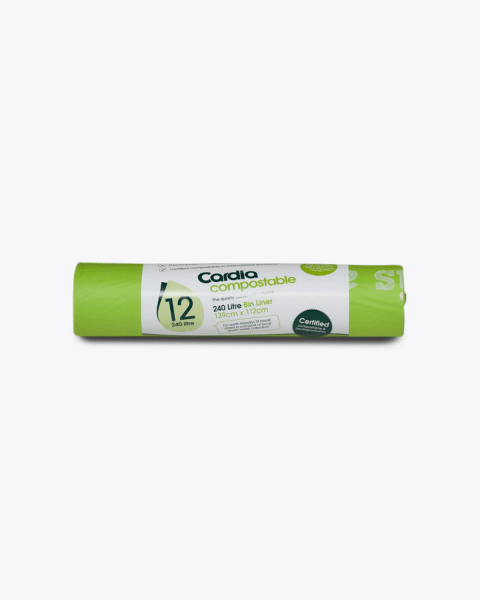 The degradable bin liners offered by Ecobin come in a range of size options for both our indoor and outdoor range of recycling bins. There is the Envirogreen range of clear degradable liners which are available in 25Lt and 60Lt size to fit in our indoor range of recycling bins and the larger 120Lt and 240Lt sizes which are available for our outdoor range of Wheelie Bins. 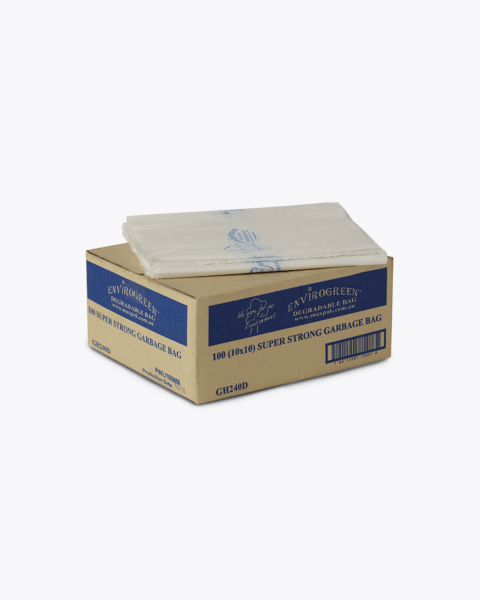 These liners are 100% degradable with exposure to heat, sunlight and mechanical stress. The liners are translucent / clear allowing cleaners to identify contents and place waste into the correct waste stream for collection. Ecobin also offers a range of the Cardia Compostable bin liners which are available in 8Lt kitchen tidy size, 36Lt and 60Lt sizes which can be used in our indoor range of bins and also in 120Lt and 240Lt sizes which can be used for our outdoor range of Wheelie Bins. 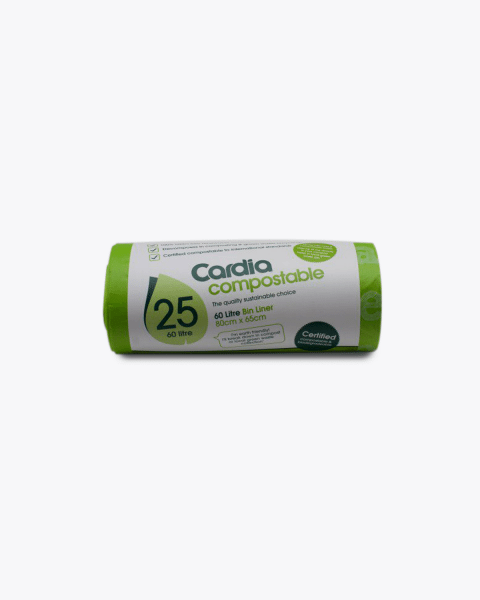 Cardia Compostable Biodegradable garbage bin bags are made with GMO free, renewable, plant based Cardia. For waste sorting to work, it’s got to be simple. And we’re all for simplicity! Pair your Ecobin with the matching posters, one for each waste stream and instantly users will have a quick ready reckoner to affirm they’re throwing their waste in the right bin. Quick. Easy. Simple. Ecobin is committed to helping everyone to effectively recycle their waste and ensure that it does not end up in landfill. Our bins require substantially less energy to manufacture than injection moulded plastic bins and / or metal bins, which is why they are a great alternative. To ensure that our bins are used correctly, we have designed a range of bright, clear, easy to understand Educational Laminated Posters to help your staff, students, clients and cleaners have a clear understanding of what items belong in what bin – thus reducing the amount of waste ending up in landfill.